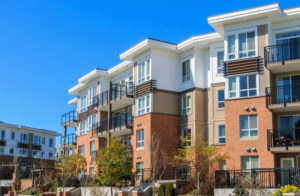 While the average American will move about 12 times during their lifetime, there is something special about moving into that first apartment complex. Moving for the first time out of your parents’ home is an exciting time, but it can be easy to feel exceptionally overwhelmed as there is so much to do! To make things go by as smoothly as possible, here are some tips and tricks for first-time apartment renters that will ensure your apartment living is as stress-free as can be! It is always a good idea to go and check out your rental spaces before you sign your lease. This way you can see what shape your apartment is in, and you will be able to put through maintenance requests to your landlord. If this is the case, make sure to always put these requests in writing with the date to prove that the problems were pre-existing. Trust us, we know how tempting it can be when you are moving into a new space and want to decorate. It can be tough not to buy every piece of decor or furniture you like before the big move in day, but please wait it out. This way you won’t feel like your new home is cluttered before you even move in! While we know you want to feel independent, don’t be afraid to ask for help during the entire process! Moving is quite a stressful undertaking and chances are someone you know has gone through it in the past. Ask them for advice, and your moving day will most likely go by much smoother! Before you leave your parents’ home, take a list of what they use on a daily basis. We are talking about kitchen appliances, cleaning supplies, and even light fixtures — these basic things have always been around you at their house, but you’ll have to supply them at your new apartment complex. Make a list, and you’ll be able to prioritize your shopping list in no time. Keep things as simple as possible and coordinate all your deliveries to your apartment complex on the same day. This way you won’t forget to be home and your couch won’t end up on your front step! All you need to do is follow this simple apartment guide when you are going through the moving process, and you won’t have anything to worry about!